Professional dog training can work wonders. Not only will it improve your dog’s behavior, it will likely improve you and your dog’s relationship. However, some people feel lost when it comes to deciding on which dog trainer is the best for your dog. There are so many different training techniques available, leaving dog owners feeling pressured to decide on which one would be the best. Fortunately, there are many different professional dog trainers in Austin. K9 Mastery has dog obedience courses that are based on traditional German training philosophies. These methods do not use treats during training, and instead focus on the development of an owner during into a master for their dog. K9 Mastery believes that every dog needs a job and every dog needs a master. They believe that dogs thrive on structure and discipline. The training methods used here use praise and correction to communicate expectations to your dog in a way they will understand. Your dog will learn to obey your commands in any situation. K9 Mastery conducts all of their training outside, to stimulate the most real world scenarios. K9 Mastery offers 8 classes for each level of training. You are required to attend at least one class per week, however, you could attend more as long as your trainer believes your dog will be ready in time. They train in all weather conditions, as they are looking to stimulate a real world scenario for your dog. They do not have an enrollment limit per class, as they encourage distractions. K9 Mastery believes that the more distractions going on during training, the more likely your dog will be able to hold his training when out in the real world. They will train any dog, as long as the dog is at least 8 weeks old and you have had the dog for two or more weeks. K9 Mastery even allows female dogs in heat to attend training, as it provides another distraction for the dogs. Beginner – Beginner level of obedience training is done on a six foot leash and includes loose leash walking, heel, sit, down, stay, and recall. 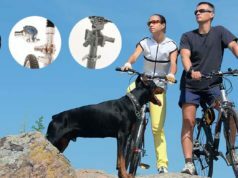 Intermediate – Intermediate level of obedience training is done off leash, with only a collar. It includes heel freely, sit on command (both stationary and in motion), down on command (both stationary and in motion), sit stay for duration of five minutes, down stay for duration of 30 minutes, and recall from 100 feet. Advanced – Advanced level of obedience training is done with no equipment. This level of training includes heel freely, sit on command (in motion and stationary), down on command (in motion and stationary), sit stay for 20 minutes out of sight of handler, down stay for 45 minutes out of sight of handler, and recall from any distance. K9 mastery also offers behavior modification training and boarding services. Karma Dog Training was founded in 2004 and is well-respected by dog owners, professional trainers, and veterinarians all throughout Austin. The trainers here focus on building a relationship between a dog and it’s owner on cooperation and trust. The Karma Dog training method focuses solely on positive reinforcement. They believe that while you are teaching a dog, the dog is also teaching you. They want owners to walk in the paws of their dogs while training, to build a better relationship between the two. Karma Dog Training’s method believes that a dog is simply a soul wearing a dog costume, and should be treated as such. They want you to treat your dog as you would like to be treated. All of these different services make it easy for you to get the exact training you need for your dog. Karma Dog Training offers comprehensive, affordable training for dogs of all ages and breeds. It is always recommended to train a dog as young as possible. Puppies are most likely to pick up on lifelong habits. When you train your puppy before 3 months of age, you are improving your dog’s training along with improving your relationship with the dog. The Karma Dog puppy training classes cover everything, including potty training, chewing, nipping, barking, walking on a leash and more. There are puppy kindergarten and puppy socialization classes available that cover all aspects of basic dog obedience. Puppy socialization at an early age is especially important for your dog’s development. Once you have your dog efficiently socialized, it is recommended to practice socialization throughout the dog’s life. The basic dog obedience courses cover all of the aspects of basic dog obedience using a combination of hand signals and voice cues. There are no harsh corrections used in any of the Karma Dog Training classes. When you attend the group training courses, you will develop the tools, strategies, and knowledge to deal with all aspects of your dog’s behavior. 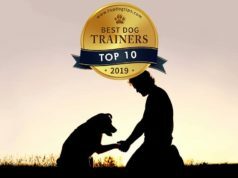 These teachings will give you the skills to shape your dog’s responses, and begin a process of communication with your dog built on the foundation of cooperation and respect. Karma Dog Training also offers a board and train program. This program is designed to give your dog the best training with the goal of responding to you once they return home. The program is typically between one to three weeks long. Once your dog returns home to you, you will receive one to three in-home private sessions. You will also receive six months of unlimited group training classes. During the board and train program, your dog will live with one of the professional trainers and will get daily training lessons. 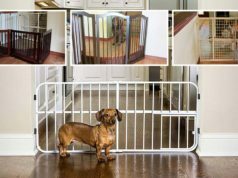 Your dog will be trained inside, around other dogs, outside, at the park, and so on. The goal of this is to simulate real world dog training scenarios. You can also attend puppy day care at Karma Dog Training. They also offer dog walking services and dog sitting services. The dog sitting services can be done in your own home, and they will offer overnight stays. Their daycares only enroll a limited amount of dogs, so you can sure that your dog will receive only the best, personalized treatment. Unleashed Unlimited was founded in 2007. It is a full service dog training company based in Austin. Some of the services included are group classes, private sessions, and board and train. Although based in Austin, clients from Dallas, Houston, San Antonio, and other cities will commonly seek out Unleashed Unlimited’s training programs. The goal of Unleashed Unlimited is to create a high level of understanding and communication between dogs and owners. This eliminates unwanted, nuisance behaviors. This type of training can also help keep a dog safe and make spending time with your dog more enjoyable overall. All of their training programs are focused on providing real world results, which can be achieved by all dogs. The obedience programs begin with a heavy level of foundation work. The programs are not solely focused on obedience, they are focused on behavioral traits, socialization, body cues, leadership, and more. This will teach you how to communicate with your dog on a level that they will understand. Some of the obedience programs offered at Unleashed Unlimited include a year of unlimited membership to group polishing sessions, giving you the chance to keep your dog’s training reinforced. You can receive puppy training at Unleashed Unlimited in a few different ways. There is a four-week long puppy class, designed for dogs between the ages of 7-14 weeks. You could also attend a private puppy powwow. This is a one time, face-to-face puppy training class at their training center. The two hour long seminar will go over all of the topics listed above. They will work with you and your puppy, and answer any questions. This offers a free puppy manual, so you can reference at home and begin working on these skills. One of the most popular packages offered at Unleashed Unlimited is their Stay and Learn package. Designed for dogs aged 16 weeks and older, this package offers both private, personalized training along with proper dog socialization. It works by you dropping off your dog for a full day of doggie day care. Your dog’s day will include supervised play-time, training sessions throughout the day, and free time in between. After a day care session, Unleashed Unlimited schedules a one-on-one private session to get you up to date with training methods, concepts, and problem solving. There are three levels of the Stay and Learn Package. When you are training your dog, your dog is learning, but you are learning as well. Therefore, choosing which dog training services are right for you is based on your personal learning style and beliefs. If you believe in traditional dog training methods, you should go with K9 Mastery. If you are looking for someone more focused on building a relationship between your dog and you, we recommend going with Karma Dog Training. If you prefer that someone else do most of the training, and you just are there for reinforcement, we recommend going with Unleashed Unlimited.